You'll discover tucked-away gems like Seurasaari Island and Open-Air Museum and Nuuksio National Park. Do some cultural sightseeing at Rock Church and Kansallisgalleria. 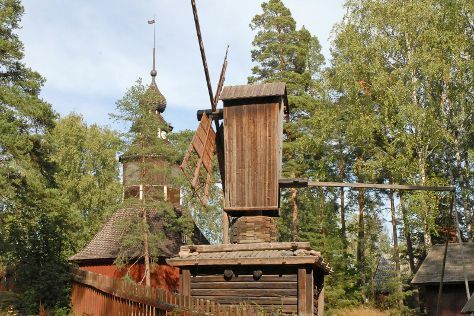 Explore Helsinki's surroundings by going to Kotka (Riverside Park, Langinkoski Imperial Fishing Lodge Museum, & more), Arboretum Mustila (in Elimaki) and Teijo national park (in Pernio). Spend the 9th (Mon) exploring nature at Ekenas Archipelago National Park. Spend the 13th (Fri) exploring nature at Sipoonkorven Kansallispuisto. There's still lots to do: learn about all things military at Sea Fortress Suomenlinna, take in the dramatic natural features at Hiidenkirnut, pause for some serene contemplation at Helsinki Cathedral, and delve into the lush surroundings at Niivermaki Nature Conservation Area. For reviews, where to stay, maps, and more tourist information, refer to the Helsinki journey planner . If you are flying in from Australia, the closest major airport is Helsinki Vantaa Airport. In September, daily temperatures in Helsinki can reach 19°C, while at night they dip to 8°C. Wrap up your sightseeing on the 15th (Sun) early enough to travel back home.